As we get older, it becomes more difficult to get out of bed if the mattress is close to the ground. Getting out of a taller bed is easier because it requires less work to push up and squat down. Many of the standard bed frames today are pretty low, so you probably need that extra boost in order to make it easier to get in and out of bed. Taller beds can become a factor in bedroom safety for the elderly too. There are many options out there you can take advantage of. You don’t need to buy a brand new bed or frame! Check out the options below and see which would be best for you in terms of comfort and installation. Bed risers are probably the most simple tool you can use to make your bed taller. They go right underneath the feet or wheels of your bed frame, and come in all sizes. You can raise your bed anywhere from an inch to 8 inches with these simple little tools. Most bed risers come in sets, and on top of being great for raising the height of the bed, this also creates a brand new storage space under the bed as well! These risers come in white or black and are a set of 8. Four of the risers are 3” high and the other 4 are 5” high, allowing you to raise the best height up another 3, 5 or 8 inches. Their modular design allows you to stack them on top of each other, giving you that super high 8” boost if you want it. These risers can support up to 1,300lbs. and won’t scratch or dent your flooring. 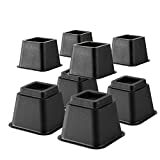 The feet or wheels of your bed will fit securely into the cup part of the risers, giving you peace of mind and all the extra height you’d need. 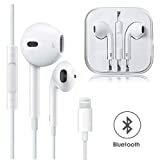 Images, Ratings, & Prices from Amazon Product Advertising API - Updated on 2019-04-20 at 03:24 - contains affiliate links (see footer). This is a similar set to the Home-It, with 8 modular designed risers that allow you to lift your bed 3, 5, or 8 inches. However, it’s got a more heavy duty construction, and can hold up to a whopping 2,000 pounds without scratching up floors. If you have a heavier bed frame, these are a better option to go for. For a slightly different design and even more supporting capacity, check out these aluminum bed risers. The aluminum construction is extremely heavy duty, supportive, and durable, as these can hold over 9,000 pounds per leg – which means about 36,000 pounds overall. It can do all of this without scratching your floors. This is guaranteed because of the rubber bottoms. This keeps your floors safe, and also prevents your furniture from potentially slipping and sliding with the risers. This set also allows you to raise your bed higher than the others – up to 8.5 inches – so although it’s a bit more expensive, it’s worth the investment if you need that big height increase. Beds like these that are low to the ground are difficult for people with hip, knee, and back problems to get in and out of. Another innovative way to make your bed taller is with a simple mattress topper or wedge. Typically, these may be easier for seniors to install because it doesn’t require picking up the entire bed, just the mattress. While you won’t get quite as much height from these as you would from bed risers, you also get the added benefit of extra comfort and support from your mattress, making for a better night’s sleep. Here are some of the best ones on the market today. 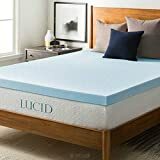 For a little 3” boost, check out Lucid’s memory foam mattress topper. 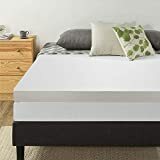 It’s made out of gel memory foam, unlike most other memory foam toppers, which adds extra pressure relief on certain points in the body and traps heat. The design is also optimized for maximum airflow and ventilation, keeping your body at the ideal temperature for sleeping all night. Simply place the mattress topper on your mattress, cover it with your fitted sheet, and doze right off. This is an Amazon bestseller, possibly because of the comfort memory foam and the unbeatable price. It adds an extra 4 inches to your bed, also more than most other toppers, which average around 2 inches. Two and a half inches of this topper is made of high-density foam for support, and the very top (1.5 inches) in memory foam. It’s easy to clean and comes with a polyester mesh zippered cover as well, and absorbs any motion so you don’t disturb your partner. This is a great two-in-one product for extra height and extra comfort all night. Finally, consider a mattress wedge to elevate your bed as well. 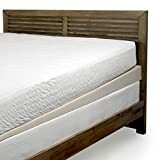 Most mattress toppers give you an overall boost in height, but these wedge design toppers provide extra height for your upper body, alleviating acid reflux, sleep apnea, snoring, and more at night and making it easier for seniors to get up and out of bed. The inclined design provides comfortable support and added height, so see if this kind of mattress topper would work for your lifestyle! If you’re a senior’s caretaker looking for an easy way to make their bed taller, bed risers are probably the best option. However, if you’re a senior looking for an easy way to elevate your bed, I’d go with a simple mattress topper because they’re much easier to install. You can even get 2 if you really need that extra height. Either way, raising the height of your bed is a great idea so that the pressure on your arthritic hips and knees is relieved when getting into and out of bed. If more help is needed to help get in and out of the bed, also take a look at my guide to standing bed rails. These bed rails help give a stable place for seniors to hold onto while entering or exiting their bed for additional safety. Do you have any other tips for making beds taller? Share them below.